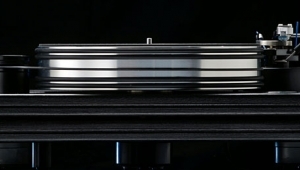 If you asked me to name a single specific high-end audio component that could make or break a system, I'd name the Linn LP12 turntable. 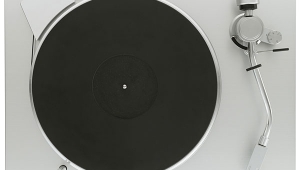 Of all the thousands of hi-fi products I've heard over the years, not a one of 'emnot a speaker, amplifier, or digital processorhas been able to draw me into the music, no matter what the associated componentry, like the LP12. 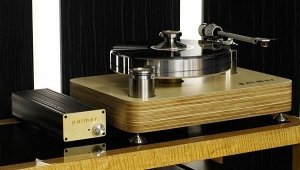 I've heard the most highly regarded speakers/amps/processors fall flat in certain situations due to a lack of synergy with their surrounding systems, but I've never heard an LP12-based system that didn't put a smile on my face and make me green with envy. 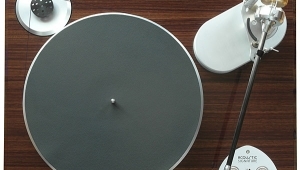 For a turntable that's been in production for 21 years now, the Linn LP12 has pretty much stuck to the same basic design while watching two decades of analog fads'n'fashions come and go. 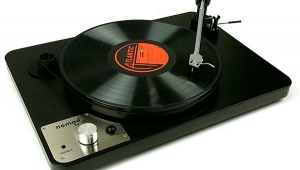 Picking up where the classic AR turntable of the '60s left off, the venerable LP12 reigned on through such "breakthroughs" as: ultra-massive stiff-beltdriven platters (Micro Seiki and others in the '70s); direct-drive (Japan Inc. in the '70s and '80s); S-and J-shaped tonearms (ditto); quartz servo-controlled motors (ditto); linear-tracking tonearms (B&O and Phase Linear in the '70s and '80s; Airtangent and Eminent Technology in the '90s); motional-feedback stabilized arms (JVC and Sony in the early '80s); ultra low-mass arms (Dual in the '80s); P-mount (Japan Inc. in the '80s); platters with inverted, high center-of-gravity bearings (SOTA and Pink Triangle); and, more currently, the much-talked-about $12,500 Forsell turntable, which features...umm...an ultra-massive stiff-beltdriven platter. Well, bell-bottoms are back, too. 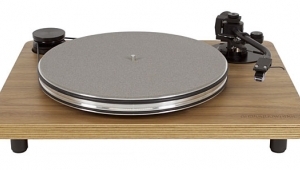 This past year, Linn's put the LP12 through some more ch-ch-ch-changes. 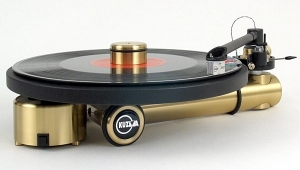 While you can use other manufacturers' cartridges on a Linn, there's always seemed to be a unique synergy between Linn's own cartridges and the LP12and for many (including JA), Linn's flagship Troika moving-coil achieved a kind of magic when mounted to an LP12 'table and $2495 Ekos arm. I know in the times I've visited John's listening room in Santa Fe, no matter what other gear and speakers he may have had hooked up at the time, his LP12/Ekos/Troika rig always sang with an authority I hadn't heard from any other analog combo. 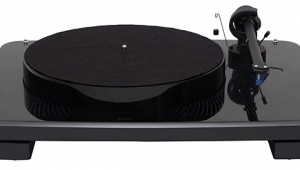 Unfortunately, Linn has just discontinued production of the Troika, replacing it with two models, one above the Troika's price and one below it. 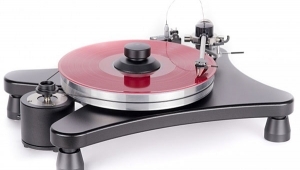 JA reviewed the new flagship $2295 Arkiv in Vol.16 No.11, and Linn sent me the bonnie new $1095 Klyde, along with an LP12 to partner it. 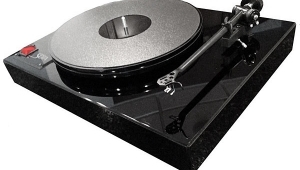 While Linn claims much higher performance for the Arkiv over the late, great Troika, they consider the Klyde to essentially equal the Troika's sonic performance at around half the price of the departing cartridge. Reportedly manufactured by the Japanese ScanTech group to Linn's specifications, the Klyde bears a physical resemblance to the Troika by retaining the circular profile and three-piece "samwich" construction of the older cartridge, although the new cartridge doesn't feature the three-point mounting scheme of the Troika and the new Arkiv. The two rounded "outer" alloy sections are brushed aluminum alloy, while the Klyde's motorvatin' guts are encased in the central, black-colored middle section. Like the Troika, the Klyde sports a "Vita"'-type line-contact diamond stylus, nudely mounted to an aluminum cantilever. The sample I received was serial #003, the first two apparently going to the Pope and Oprah. I don't know in what order. The Klyde was delivered a little over a year ago by Audiophile Systems' West Sales Manager and all-around supremely good guy Steve Daniels, who also brought an LP12 Basik to audition the Klyde with. After I listened to the LP12 in its Basik configuration for a few days, Steve modified the LP12 to allow for instant switching between Valhalla and Lingo power supplies in order to more easily compare the three levels of LP12ness (footnote 1). 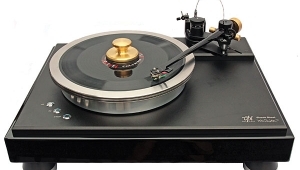 In addition, right near the end of my time with the Linn, it was fitted with the new $495 Cirkus bearing upgrade also reviewed by JA last month. 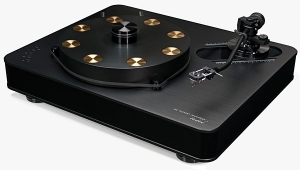 The Linn analog rig came into my system at a time when I was using the $1195 Well-Tempered Record Player and $295 Sumiko Blue Point Special as my reference for phono playback, and I have to tell you, it was pretty shocking to switch over to the LP12. 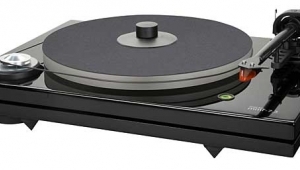 The midpriced WTRP is a terrific turntable/arm combo for the money, but the Linn rig took everything up by more than a few notches. The WTRP held up admirably to the comparison, but the difference in sound between the LP12/Klyde and the WTRP/Blue Point Special was pretty dramatic. 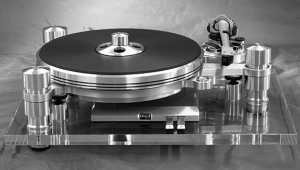 The most startling difference between the two analog rigs was in DA BASS. What was simply "the bass" before was now DA BASS!!! 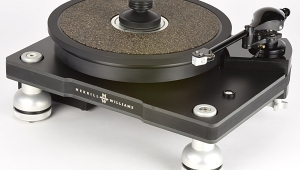 Well-Tempered's unique fluid-pivot arm has a lighter, softer, less well-defined bass range than even a good midpriced fixed-pivot arm like the Linn Akito or Roksan Radius (footnote 2); compared to the awesome Class A low end of the $2495 Ekos, it was just no contest. I was aware of the WTRP's deficiencies in the bass dept. 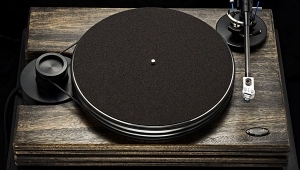 back when I reviewed the 'table in Vol.14 No.7, but after a series of upgradesthe Blue Point Special replaced the standard Blue Point used in the original review, and Well-Tempered's $400 Black Damped Platter brought the bass up several notches in both quality and quantitythe WTRP's low end became quite liveable. Footnote 1: This modification involved an outboard Valhalla board built as a one-off for dealer demos onlythe Valhalla board is installed inside the LP12 in production 'tables, and cannot be switched back and forth with the Lingo supply as it was with this demo model I had on hand. Footnote 2: Reviewed in Vol.14 No.7 and Vol.16 No.8, respectively.